The target is called the “house” and is made up of three concentric circles of diameters 4, 8 and 12 feet. The purpose of the game is to score points by getting stones closer to the house center, or the “button”, than the other team’s stones. Players from either team alternate in taking shots from the far side of the sheet, each player throws two stones per end. An end is complete when all eight rocks from each team have been delivered, a total of sixteen stones. Once a stone has been thrown, teammates may sweep in front of the stone to influence the trajectory or to increase the total distance traveled by the stone. A curling rock is made of granite and weighs around 20 kg (44 pounds). After each end, the team with the closest stone to the button scores. One point is awarded for each stone lying closer to the button than the opponent’s stones. Only one team can score per end. The play continues for either 8 or 10 ends (predetermined), and the team with the most points after all ends have been played wins. Team sport which can be directly associated to Canada, curling is a sport for life and can be played by everyone regardless of the age, gender and physical condition. Most curling clubs are closed in the summer. In general, the curling season runs from the end of September to the end of April. Membership fees and registration types generally vary from one curling club to another and depend upon differents factors (age, number of games per week, etc.). In addition, some clubs also offer the opportunity to register for a full year or a half year, or to integrate an 8-week initiation program so that beginners can get more familiar with the sport. 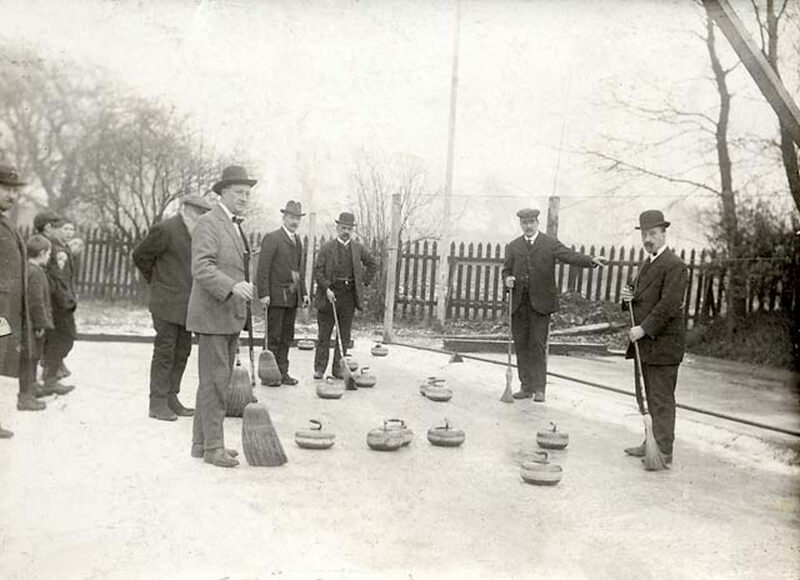 Curling originated in Scotland in the 16th century, where it was played outdoors on frozen ponds in the winter. One century later, they put handles on the rocks so that they could be thrown more easily and more consistently. This method is still in use today, however the stones are now made out of polished granite as opposed to the flat-bottomed river stones which were originally used. Men’s curling was first accepted as an official Olympic sport in 1924. In 1932 curling was removed from the Olympics but it reappeared as a demonstration event at the 1988 Olympic Games in Calgary. Ten years later, in Nagano, curling once again became an official Olympic sport in both the male and female disciplines.